Double orifice tricuspid valve (DOTV) is an extremely rare malformation first reported by Greenfild. Each orifice is provided with a fully developed subvalvular tensor apparatus. It can either occur alone or in association with other cardiac malformations, especially with atrio ventricular septal defect (AVSD) as in our case. Sapre A, Gopalraj SS, Kottayil BP, Kumar RK. 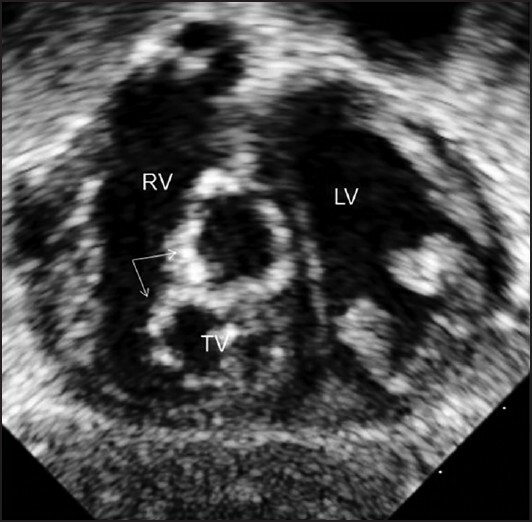 An unusual example of isolated double-orifice tricuspid valve. Ann Pediatr Cardiol 2013;6:162-3. 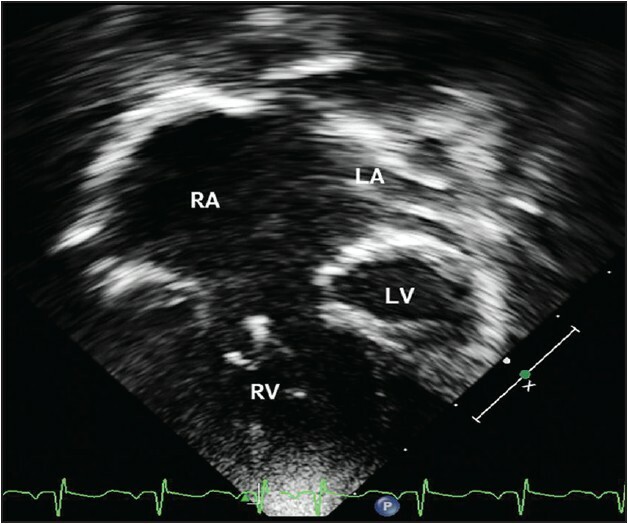 Gajjar T, Desai N. Double-orifice tricuspid valve: A rare entity. Eur J Cardiothorac Surg 2012;41:1187-9. Wang BX, Yin BL, Pan YZ, Yin N, Chen C, He B. 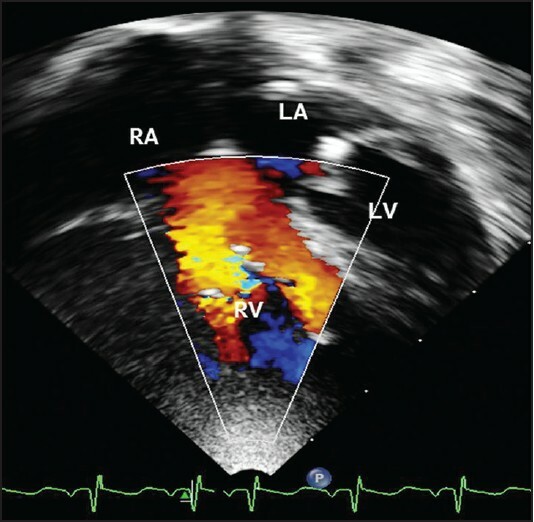 The clinical experience of double orifice tricuspid valve. Heart Lung Circ 2013;22:229-30.